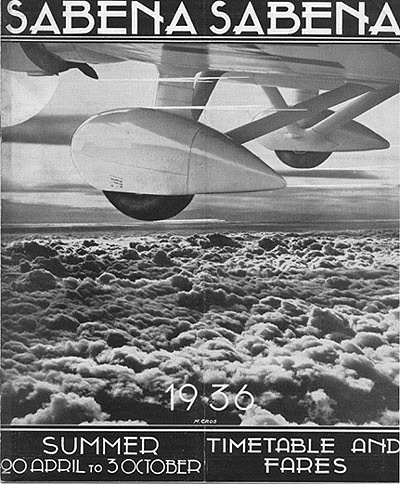 "Sabena Summer Timetable and Fares 20 April to 3 October 1936"
"Sabena Summer Timetable and Fares 20 April to 3 October 1936." Signed "M. Cross," printed by Th. Dewarichet - Brux.